"Silly me… I can't quite reach my towel." Uncork'd Entertainment has debuted an official trailer for Room for Rent, an indie horror thriller from Arizona-based filmmaker Tommy Stovall. Horror icon Lin Shaye stars in this suspense thriller as a lonely widow who rents out a room in her house and becomes dangerously obsessed with one of her younger guests. When a friend’s betrayal derails Joyce’s fantasy world, she seizes control of her own destiny with a deadly mission to finally get what she deserves. The cast includes Oliver Rayon, Valeska Miller, Linda Cushma, Casey Nicholas-Price, and Ryan Ochoa. This looks so tacky and weird and unfortunately incredibly dumb. These kind of bad horror flicks are a dime a dozen nowadays. 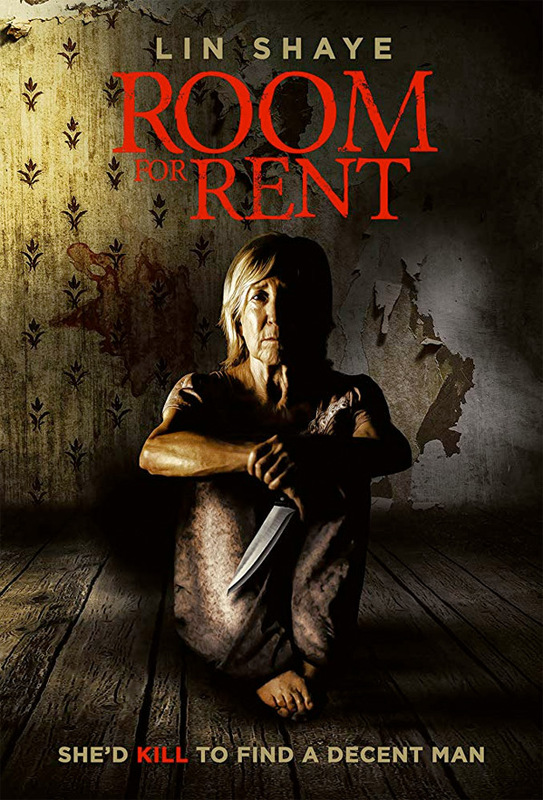 Lonely widow Joyce (Lin Shaye) rents out a room to make easy money. She meets mysterious drifter Bob (Oliver Rayon) and takes him in as a long-term tenant. She becomes obsessed with her much younger guest, making him the object of her deepest romantic fantasies. When a friend's betrayal derails Joyce’s fantasy world, she seizes control of her own destiny with a deadly mission to finally get what she deserves. Room for Rent is directed by filmmaker Tommy Stovall, of the films Hate Crime, Sedona, and Aaron's Blood previously. The screenplay is by Stuart Flack. This premiered at the Sedona Film Festival. Uncork'd Ent. will release Stovall's Room for Rent in select theaters starting on May 3rd, available on VOD May 7th.